Global Finance: What treasury technologies does Coca-Cola use, and why? 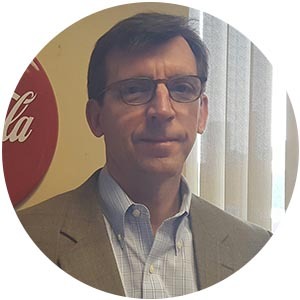 Jim Aschmeyer: We use several tools, and like a lot of companies, we’re evolving from our historically heavy reliance on Excel and a fragmented patchwork of systems toward greater simplification and automation. For bank account management, we’re using the Weiland solution. We have such a heavy relationship with Citi that we wanted a solution we could scale across the world with our various Shared Services Centers. We use CitiDirect, which is critical, and we try to leverage Citi whenever and wherever we can. We have two treasury management systems—Wall Street System (cash and FX) and Reval (commodities and debt). Technology is an evolving story, and we’re constantly looking for ways to leverage our treasury management systems to move closer to our long-term vision of nirvana, which includes in-house banking. GF: Is an earnings-credit-rate (ECR) solution the best way to balance safety, liquidity and yield right now? Aschmeyer: We are constantly being challenged by senior management to increase efficiencies and “add more value.” With this in mind, we can either keep asking Citi to cut our fees, or we can optimize use of ECRs to leverage a natural asset, which is our $21 billion in global cash holdings. A big portion of the cash is permanent in nature, and there are things we can do from an investment point of view. But there are also sizable operating cash balances that are constantly moving around and are difficult to invest. Before implementing Citi’s ECR solution, these funds were usually not earning any return. Now it’s as though we’re taking the cash that has fallen through the cracks and making it work for us. For the many different entities and legal accounts, ECRs give us another way to fine-tune and leverage the cash we have. It has effectively eliminated our banking fees in Western Europe during the past year--a nice message to provide to the leadership. Citi is basically teaching us how to fish, using ECRs to drive value in sustainable ways for both parties, and this is what we need from a global banking partner. Banks have always been advisers, but now advising is even more important, both for companies and for their banking partners. 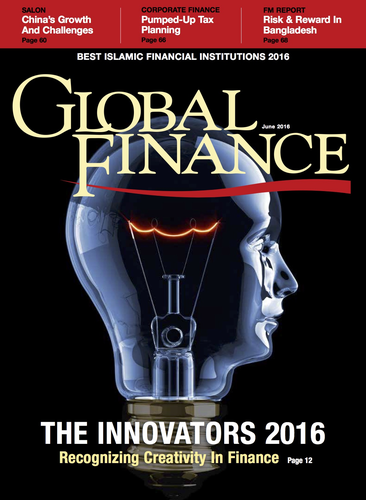 GF: How does innovation differ in treasury? Aschmeyer: In prior years, cash management was a “backwater activity” versus FX and other treasury activities. But at the end of the day, cash and cash flow is the lifeblood of a company. If you are in short supply, or if it isn’t managed with care, you’ve got a problem that will catch up with you. Globally standardized processes, leveraging the right technologies, is where we want to be. But I’d also say we’re not doing enough fast enough. I had a question from a new team member asking whether we should wait on building our long-term treasury strategy until the impact of blockchain becomes clearer; but if we waited like that, we would never move forward. There are new things coming out every day, and we’ve got to get on the bus and trust that our partners are going to be innovative partners. We’ve got a long history with Citi, and up to this point they’ve always been at the lead. We backed the right racehorse.